Netflix Issues Warning After People Drive Blindfolded for "Bird Box Challenge"
This. This is why aliens won't talk to us. Thanks a lot, Sandra Bullock. In face-slappingly idiotic news, people are apparently taking part in what has been dubbed as the "Bird Box Challenge." Donning blindfolds and bumbling around life, they are emulating the characters in the Netflix movie, Bird Box. The movie is about a woman who tries to protect herself and a small group of people from a mysterious being that causes those who see it to commit suicide. The group wears blindfolds to prevent seeing the entity. Social feeds everywhere are being taken over by the memes. Because we apparently have nothing else to do, people have now started blindfolding themselves and taking on small challenges, from walking up stairs to finding the way around their homes to ... and I can't believe I am even writing this, DRIVING CARS. It's like pin-the-tail-on-the-donkey run amok. 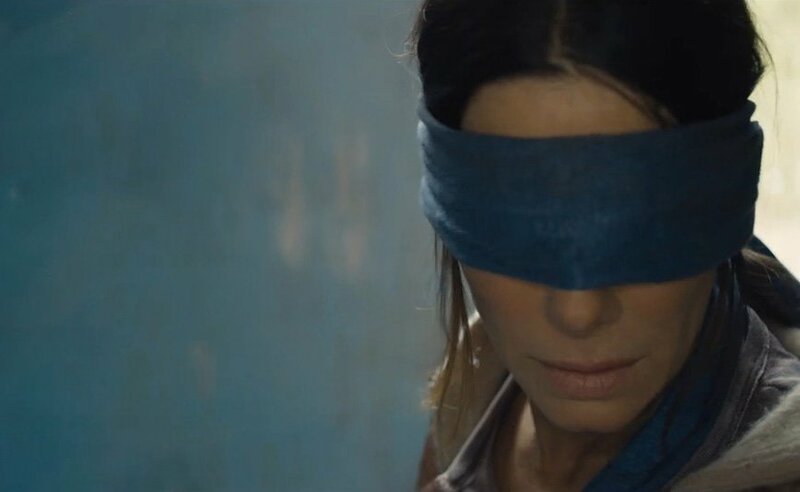 Bird Box was released on December 21, and it took less than two weeks for the Darwin Award winners in our ranks to ruin it. Netflix says that the psychological thriller was streamed by 45 million accounts in its first week, alone. I'm not sure that we as a species can bounce back from this one, but just in case, here's a new challenge: Someone please come up with a solution to end world hunger or create world peace real fast. It may be the only way we can redeem ourselves. What do YOU think? Have you watched Bird Box on Netflix yet? If so, what did you think? Share your thoughts with us in the comments below.